Your wonderful Vitifolium is now housed and happy in our Special Needs Early Education Program playground. Thank you so much to Heather for the choice of tree, the planting on her weekend and the help she continually provides. 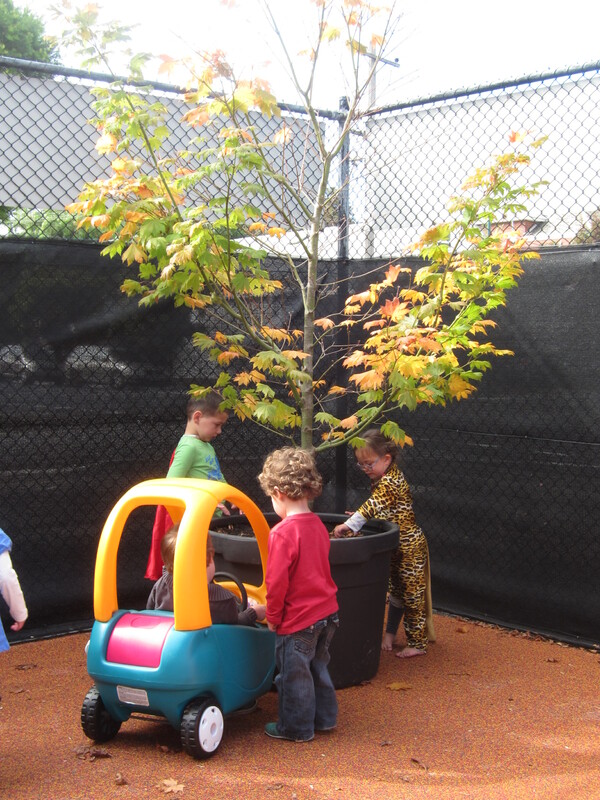 Thank you to the team for the care of the tree until we were ready to add it to our small playground. When it arrived it had dropped most of its leaves and the leaves that were left were mostly a pale yellow. Over the last week, the tree is a wonderful orange colour and the kids have been amazed at the change. Many leaves have been picked and collected to make a collage, the dry ones on the ground have been crunched and played with. One of the kids loves to collect them in the wheelbarrow (kid sized) and put them in another part of the playground. Around the tree we have planted daffodils – a big thing for a couple of the kids who don’t like to have dirty hands! We will now watch them grow and then flower as the tree comes back into leaf. The children will notice tomorrow that there are buds on the tree that will eventually burst into leaf. We’ll keep in touch with you with some more photos as the tree changes. Thank you for the wonderful tree. Port Phillip Specialist School offers an integrated teaching environment for children with intellectual and multiple disabilities. We hope that the tree will enrich and delight the children, staff, and volunteers of this wonderful school.